Until now, I have resisted the temptation of responding “Actually…no, not even close.” My responses have usually been more ecumenical. I want to help Mormons to the fullness of the truth, and to do that, I need to engage them and try to understand their faith. In that spirit, I decided to visit the Mormon “Mecca” in Salt Lake City. On a bright sunny morning, my 18-year old brother and I drove to Temple Square to visit the central place of worship for the Church of Jesus Christ and Latter-Day Saints. Only worthy Mormons are allowed to enter the Temple itself. To be worthy, one must have a Temple card, the possession of which is ensured by a favorable annual evaluation meeting with the local bishop. Temple Square really is a beautiful place. Its 35 acres contain 250 well-manicured flowerbeds 700 varieties of plants from all over the world. Between the shady trees and gardens, there are sculptures commemorating famous Mormons. The whole place is designed to be peaceful and welcoming. The Temple itself is an interesting structure. Its architectural style has the verticality of the Gothic but lacks the elaborate decoration typical of Catholic cathedrals of the same style. There are certain elements that are meant to evoke Solomon’s Temple: it is oriented towards Jerusalem and the large basin used as a baptismal font is mounted on the backs of twelve oxen as was the brazen sea in Solomon’s Temple (see Chronicles 4:2-4). 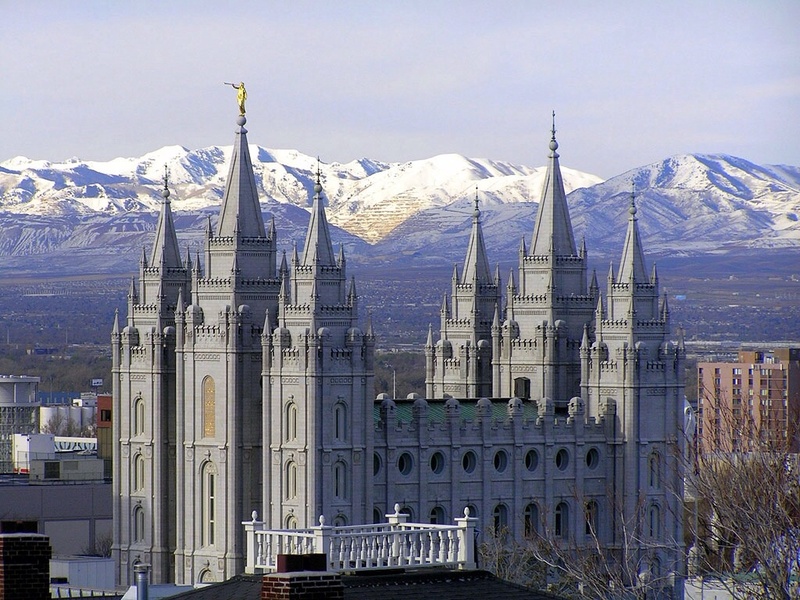 The highest of its six spires is mounted with a gold-plated statue of Moroni, the angel who supposedly brought Joseph Smith to the golden plates with the writings that Smith later translated and compiled into the Book of Mormon. Besides the Temple, the Square has three buildings that are open to visitors: a Mormon history museum and two places of worship. 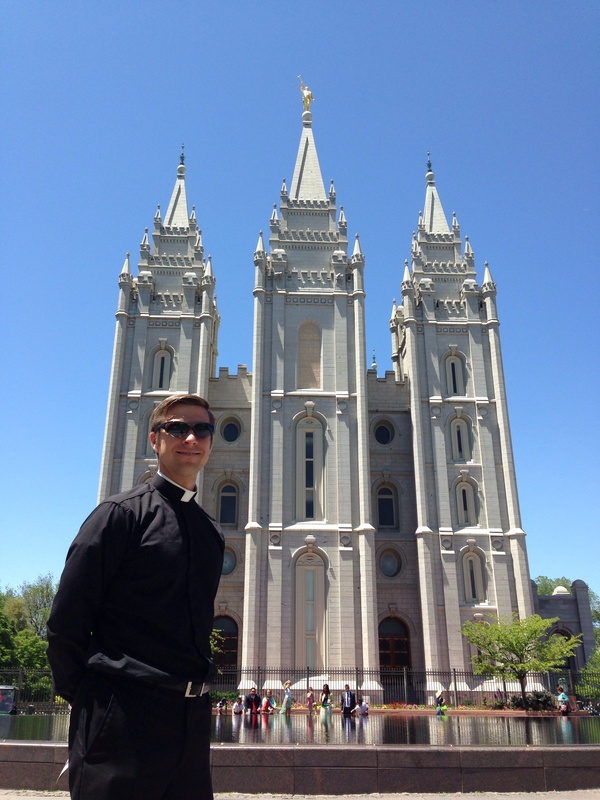 Strategically placed throughout the area is a well-organized group of Mormon missionaries. All of them are young ladies in their late teens and early twenties, dressed conservatively and wearing name tags that have their last name preceded by “Sister”. Underneath their name tags, each one wore another tag with the flag of their country of origin. It was truly an international group. I saw missionaries from Japan, Mongolia, Tonga, Italy, the UK, and many other countries whose flags I did not recognize. missionary. Upon leaving one of the buildings, a missionary asked me where I was from. When I told her that I was visiting from Rome, she said, “Oh, you have to meet Sister Turro! She is from Italy.” She called over Sister Turro and we began chatting in Italian. It turns out that she is from Sicily and was doing an 18-month mission in Salt Lake City. 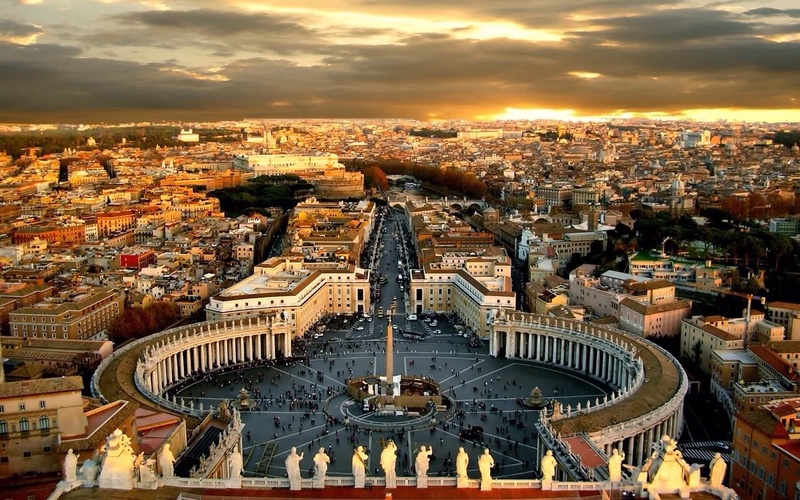 She began speaking very excitedly about the new temple that the Mormons are building in Rome, and she went on and on about it, assuming that I was actually interested in visiting it. But I was more interested in finding out how an Italian ended up being Mormon instead of Catholic. I tried to move towards that topic by asking her what she thinks about Pope Francis. She said that she thinks he is awesome, but that was as far as the conversation went. As soon as we got off the topic of their temple in Rome, she started getting nervous and switched back to English. My guess is that the missionaries are trained to keep their conversations pertinent to their mission and Sister Turro saw where I was going with my question. Either way, we ended our conversation politely and went our separate ways. faith, and I did get a new insight. On a certain level, their church seems to be as pleasant and attractive as the grounds of Temple Square and its youthful missionaries. 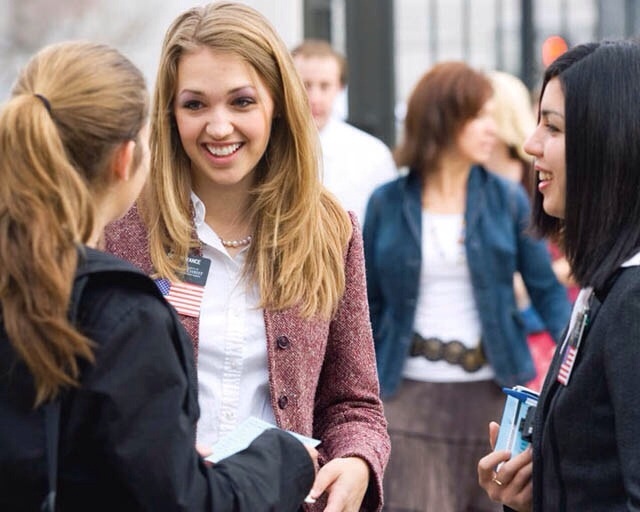 Temple Square says: “This international organization is well-organized, well-funded, and you can be a part of it.” But it’s not just the money and organization that makes it attractive: the other part of it is that Mormons, at least all of the ones I have met, are exceptionally nice and virtuous people. My family has lived in Utah for eight years, and we can attest that you cannot ask for a better neighbor than a Mormon. But the problem is that once you get past the impressive buildings and nice people, you discover that a faith that is irrational and lacking credibility. The incoherence of the Mormon faith is not hard to notice. Just to give you an example, the Book of Mormon is the story of pre-Columbian civilizations of which there is absolutely no historical or archeological evidence. Since their internal theology is so shaky, they have to make up for it by making the external aspects of their church shiny and impressive as possible, and they have done a pretty good job at that. Everyone in my family sincerely loves our Mormon friends and neighbors and it is because of this love that we want to bring them to the fullness of the faith. I often think what great Catholics they would make. If they are such good people without the sacraments, imagine how they would be with them. I hope that I will be able to dedicate at least a part of my priesthood helping these good people make the spiritual journey from Salt Lake City to Rome. As a fellow seminarian (from Mexico), I find your post interesting, however, as far as ecumenism goes, I felt that the third-to-last paragraph throws out any chance at dialogue, without even the benefit of presenting the arguments the Church teaches vs. what mormons teach so that your mormon friends may find lights along their way to God. Remembering the words of Saint John Paul II: “Let’s not act like we hold the monopoly on the truth” (said while on Vatican II), let’s find creative ways to reach out to them and help them get to our Heavenly Father. I’m one of the parishioners at St. Lawrence who was really enlightened by your lectures. Also, I was a Mormon for two years because my daughter, then 16, decided she would join. Don’t worry, the Holy Spirit led her back with gusto and she now has a thoroughly Catholic family of her own. 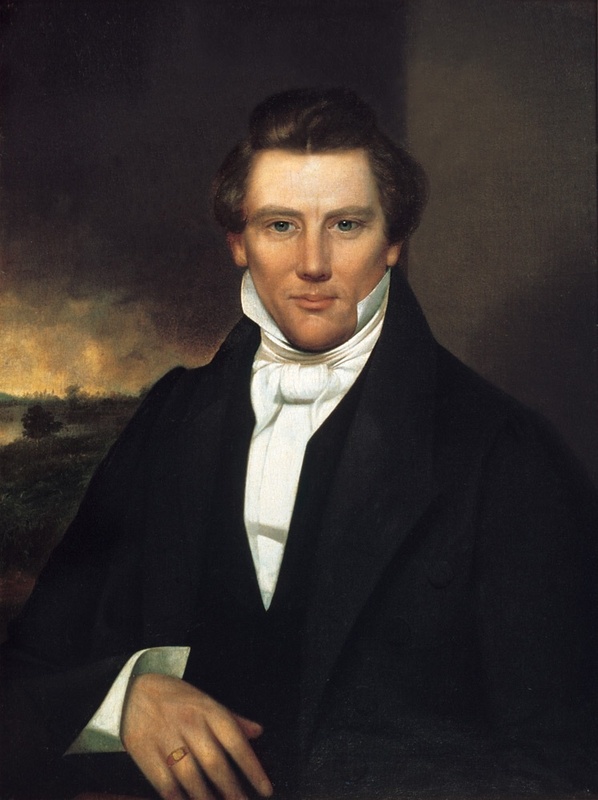 The power of Mormonism is in accessing the desire to defy reality. It’s a high, to conform to a group by assenting to a unique fantasy, this whole LDS creed. The danger is in putting artificial objects in the eyes of faith, you can go blind. You become devoted to a man made system that includes Jesus’ spirituality but not really the living mystery of his divinity. PS I hope you get through the marathon in fine fettle. Thank you for your comment, Deirdre! Very insightful.I agree that Mormonism successfully defies reality, and it is able to do so in part because it compensates for the irrationality of its faith with a welcoming and supportive community.